The review will examine the impact of emissions testing regime the Worldwide Harmonised Light Vehicles Test Procedure (WLTP) on vehicle taxation. WLTP was introduced last year with the aim of being used as a global test cycle across different world regions, so pollutants and carbon dioxide (CO2) emissions as well as fuel consumption values would be comparable worldwide. It has been criticised for effecting the availability of many vehicle models which are not approved under its testing. The UK government introduced a new tax levy for newly registered diesel vehicles in November last year. Dame Caroline says the automotive industry has invested large sums to reduce Nitrogen Oxide (NOx) emissions by 95 per cent since 2010. She added that 99 per cent of particulate matter, particularly those most dangerous for public health, have been removed while diesel vehicles produce 20 per cent less CO2. The government will publish a consultation document in the coming weeks. A two-week shutdown in production was imposed at Solihull’s Lode Lane plant, beginning on Monday, October 22, while many staff at Castle Bromwich have seen the introduction of a three-day working week. 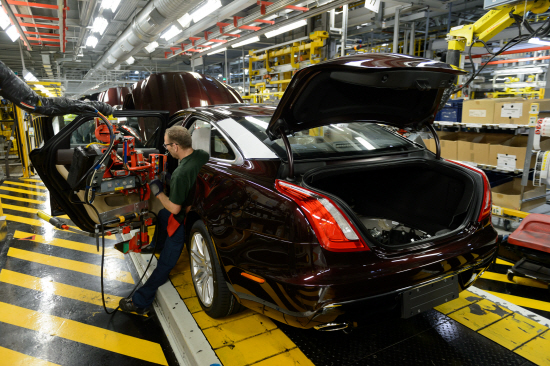 JLR announced the shutdown amid on-going financial troubles which it has attributed to Brexit confusion, the falling demand of diesel vehicles and China slashing import tariffs.